This is a very simple recipe. It’s light and healthy, but hearty enough to satisfy. Farro has a lot of protein and fiber and has a deliciously nutty flavor and texture. If you can’t find farro then feel free to substitute spelt or wheat berries. And I make pesto whenever my or my mothers’ basil plant is gigantic, then freeze it flat in quart-sized, freezer containers so I can later stack it upright in my freezer and not have it take up too much room. That way I have fresh-from-the-garden basil pesto all year round. -Place 2 cups of farro in a large stockpot and cover with cold water, (enough water to cover the farro by 2X). 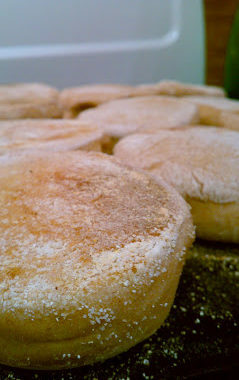 -Allow this to sit and soak all day or over night at room temperature (8-10 hours). -When you’re ready to prepare the salad, add a handful of salt to the pot and bring the pot of water and farro to a boil. -Boil for 30 minutes and check the consistency of the farro, it may need more time, (I like mine a little chewy, you may want to cook yours longer). 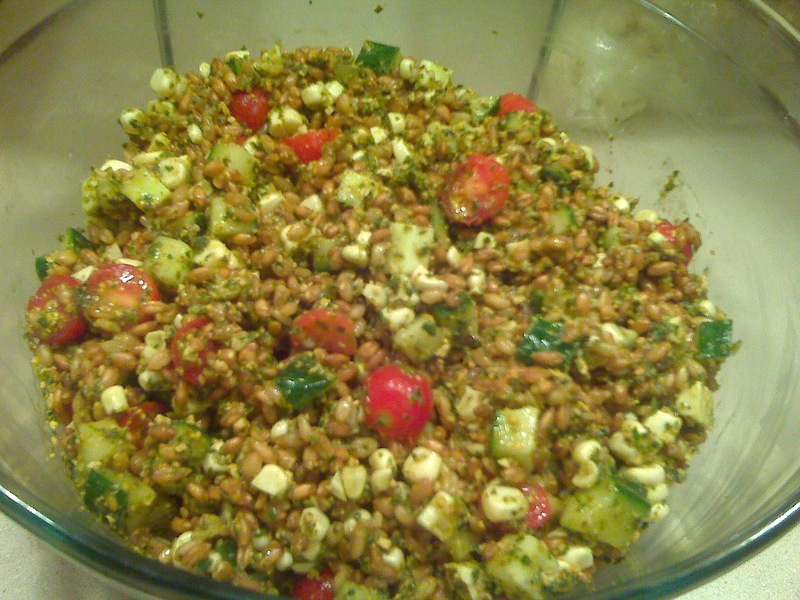 -Drain the cooked farro and place in a large bowl. 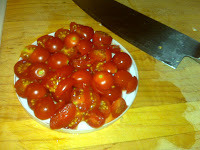 -Season with more salt to taste and add the juice of 2 lemons and a couple glugs of olive oil. Toss. -Add 1 cup of basil pesto (I won’t judge you if you don’t make your own). Stir to combine. -Dice 1/2 a large English cucumber, throw it in. -Scrape the kernels off 2 cobs of corn*, throw it in. 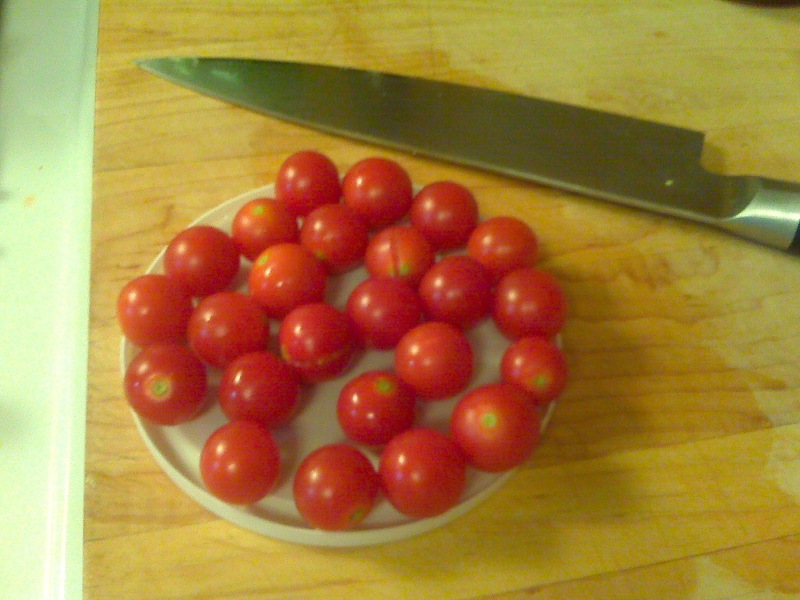 -Half a handful of cherry tomatoes*, throw it in. -Stir everything to combine and check your salt content. -Top with crumbled goat cheese if you’d like. Place your tomatoes in the inside of a deli lid. Place another same-sized deli lid over top and press down while you slice through the center of the two lids with your very sharp knife. Voila! Halved cherry tomatoes in one simple gesture. Oh My Gosh! 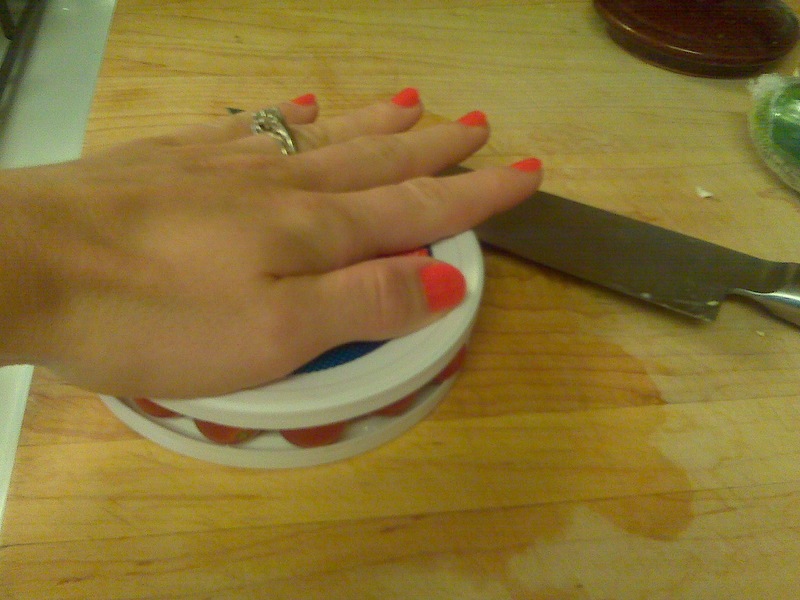 I love this, we love Farro, but the tomato cutting is so cool! Farro is on my list. Great-looking recipe! This sounds great and that's a great way with the cherry tomatoes. Thanks! I love grains with vegetables. So good. I could eat brown rice with any vegetable nearly everyday! This would be a great alternative. I think it was the sweet and tang aspect that threw me off. But I think we can both agree on your watermelon-vodka sorbet, that sounded wonderful!! So simple, yet so smart. 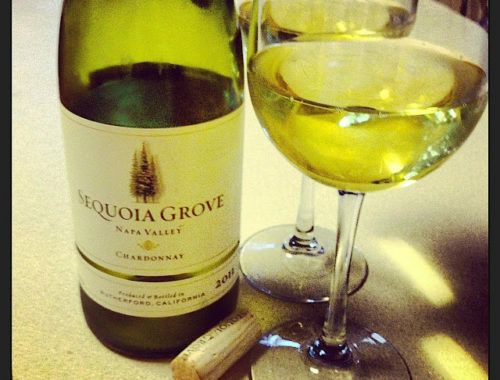 In fact~ this is a friday's favorite… come join the linky party! Thank you Sandi-that is so sweet! I love your blog!